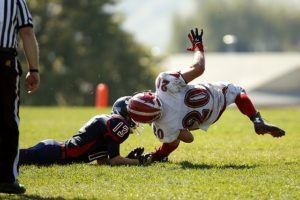 Concussions and Chronic Traumatic Encephalopathy (CTE) | Steve Rauchman, M.D. The picture of NFL players’ brains on the front page of newspapers is disturbing on many levels. They are the red flag for many other TBI victims. To make it simple, more than 99% of NFL players examined at autopsy had findings of significant brain injury secondary to concussions. Many of these players had significant mental impairment while alive, even at a young age. 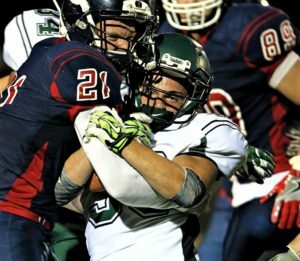 A decade ago, most concussions were considered no big deal. Now, a decade later we find 99% of NFL players have brain damage. Now, NFL players are a unique group, sustaining multiple head injuries at the pro level for many years. But studies are finding mental impairment in younger high school and college athletes. As I’ve stated in previous blogs, these individuals almost always have visual problems. Do these athletes ever get to see ophthalmologists? Maybe the pros do, but I’ve never been referred a single football player from a local high school or college for evaluation in 30 years of practice. I work in Los Angeles, so there are plenty of athletes nearby with concussions, and not many play for USC or UCLA where they may have access to eye care. The truth is they never get referred, no doctor addresses their vision issues. I would be happy to see these young athletes in my practice. I will tell you, the patients I do see, are head trauma patients mostly referred by attorneys who cannot find an ophthalmologist to see their TBI (traumatic brain injury) cases, and there are tons of them. Attorneys are ahead of the curve and seem more interested in having their TBI clients examined by an eye doctor, than most other medical providers. Now, I realize that most TBI automobile accident victims are not football players and don’t have CTE. But if you have seen the photos of these athletes’ brains in the newspaper, you don’t have to be a medical expert. These brains look terrible to the untrained observer. So, it seems quite likely that even a single blow or whiplash to the brain at 60 mph, or even 30 mph can no longer be ignored. Patients don’t need multiple and repeated blows to have neurological changes, one hard pop can probably do it. The football player story is the top of the iceberg- most TBI patients quietly suffer with no help. There are plenty of neurologists willing to see these patients, but I’m sure the majority of head trauma patients never make it past the emergency room. I am one of the very few ophthalmologists thinking ahead of the curve. I’ve become an expert in the evaluation of TBI patients. No, they don’t have cataracts requiring surgery, but they do need an eye care specialist. They have real findings, and treatment is moving forward. In a future blog, I will discuss the role of Vision Therapy in rehabilitation.